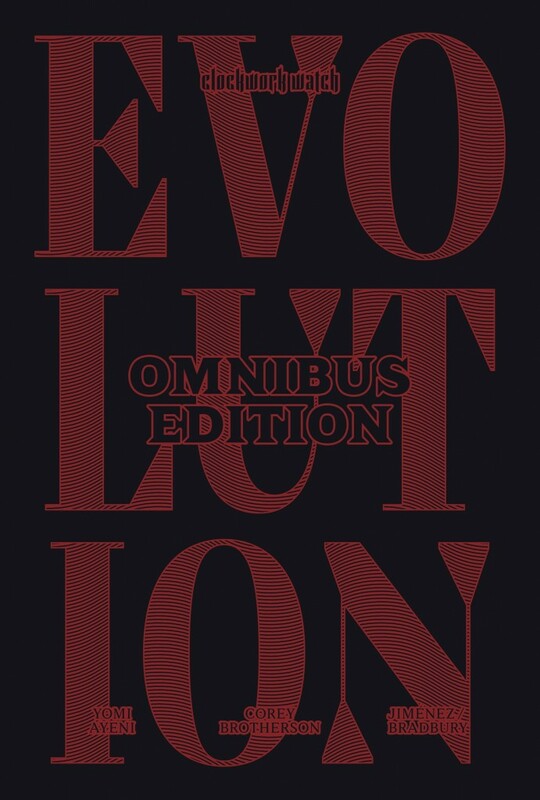 This is the Evolution Omnibus, the third collected edition from the Clockwork Watch story, and is a combination of books one and two. 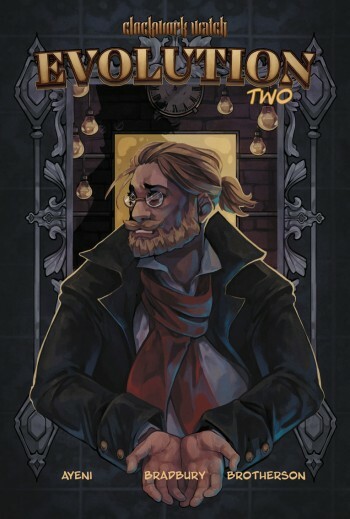 It charts the life of Saccadius Cartwright, a man who has the weight of the world on his shoulders and the fate of humanity at his fingertips. Guided by the voices in his head, and his guardian, he grows up to realise that his actions will always impact the future of mankind. 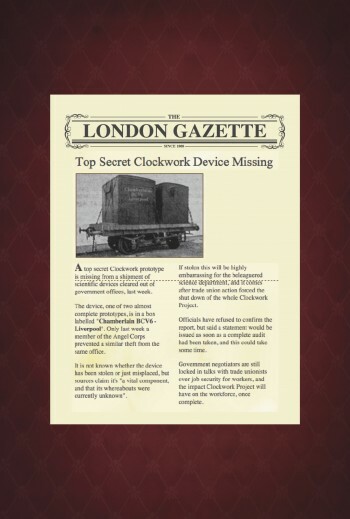 Clockwork Watch Evolution features two new artists -Ed Jimenez and Megan Bradbury. Lettering is courtesy of Mike Stock, editing by Corey Brotherson, cover design is by Fabio Duarte Martins, and both books are written by Yomi Ayeni. 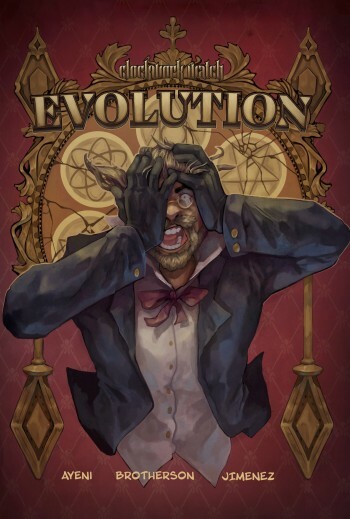 Evolution follows the critically acclaimed Clockwork Watch series including The Arrival, Breakaway, Countenance and the popular spin off, Tick Tock IPA.